When last year Sean Combs, aka P Diddy, spotted the popularity of super-premium tequila DeLeón on the Los Angeles club scene and approached Diageo’s North America president, Larry Schwartz, about getting together to buy it, he was joining fellow celebrities Justin Timberlake and George Clooney in owning super-premium tequila brands. He was also making a shrewd business move: retailing at US$65-850 a bottle, DeLeón is now one of Diageo’s fastest growing brands in the US. The spirits world has long known that there is opportunity in super-premium. According to the Distilled Spirits Council of the United States, across all spirits, value sales dropped by 1.3% in 2014, while super premium increased by 5.1%. In some segments it is more pronounced: the IWSR believes volume sales of super-premium rum will increase 50% by 2017. There are many drivers for this boom in super-premium. Broadly it reflects a cultural shift in drinking habits towards healthy moderation. More specifically, in cognac, whisky and vodka, it tends to reflect a desire to demonstrate status and prestige, whilst in gin and rum, super-premium tends to be driven by a desire for authenticity and rarity. Compare the likes of Remy Martin Louis XIII or any $50k bottle of The Balvenie with, say, Silent Pool gin – super-premium is a complex and fast maturing market. We believe that we are right on the cusp of a fifth generation of spirits. Take vodka: the Stolichnya and Smirnoff of the 1960s Mad Men gave way to the striking bottle design of Absolut in the 1980s, which in turn paved the way for the likes of Ciroc and Sky Vodka in the 1990s, and in the 2000s a fourth generation of vodkas such as Belvedere and Grey Goose adorned nightclub tables in cities worldwide. The lustre is fading from those fourth generation brands, and vodka, indeed all spirits, are now ripe for a fifth generation – the ultra-premium spirit brand. This is a significant shift in the spirits sector, and one that will further highlight the importance of storytelling. Successful spirits brands tell stories - stories that create atmosphere, experiences and emotion. 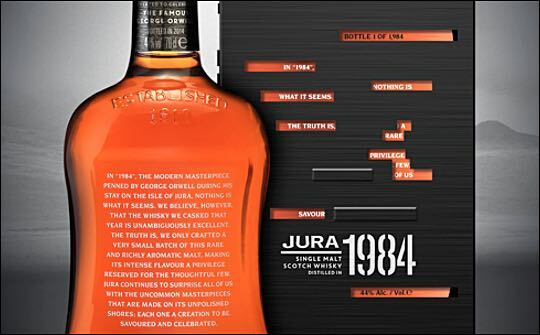 Look at the way Hendricks conjures tales of Victorian emporia, or the use Jura 1984 Vintage makes of George Orwell’s stay on the island. 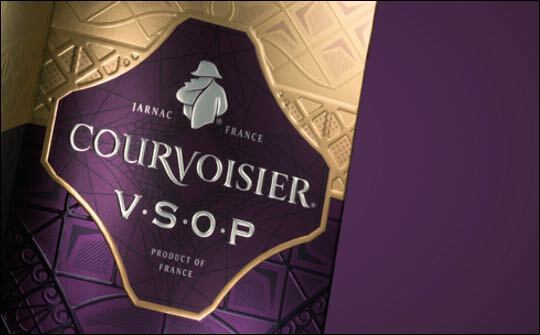 Courvoisier transports us to 1889 to toast the opening of the Eiffel Tower with its cognac, and Bacardi has been telling the story of Cuban master distillers for generations. With this dawning of a new generations of spirits, the ability for a spirit brand to understand, articulate and communicate its story will become more important than ever before. The famous outlier for this trend towards ultra-premium was the Dalmore Paterson Collection, which went on sale in Harrods for an eye-watering £987,500. It has been followed ever since by a trickle of spirits priced in at least four figures. Look most recently at the February 2016 launch of £2,000 Chivas Regal The Icon. This may be driven by fears of an impending economic slowdown - it is well-documented that in tough times the most premium brands flourish at the expense of value ranges. We might also look to the increased interest in whisky as an investment category: in 2015 while the Rare Whisky Apex 1000, rose by 14%, gold declined by 10%, and the FTSE 100 lost 4.9%. Whisky even bettered the Shanghai Composite’s 9.4% gain. Yet there is more to it than that. At this ultra-premium end of the market a profound shift is taking place in how buyers see spirits. Where once they were liquids to be tasted and savoured, today they are increasingly items of rare beauty to be admired and owned. Just as a Picasso is more than canvas and paint, or Ai Weiwei’s work is more than sunflowers seeds on the Turbine Hall floor, so each of these spirits is more than water, sugar and botanicals. What makes it so? Is it the quality of ingredients and the craft of their creation? That was the pitch of the third and fourth generation of spirits, but these fifth generation iterations go beyond even that. Is it the price itself? Perhaps. We could argue that just as by placing a work in a gallery you make it art, so by putting a four-figure price tag on a drink you make it ultra-premium. Equally, we could point to the packaging and the liberal use of rare and expensive glass, or to the glut of celebrity endorsements for these drinks. It may have worked for ultra-premium launches so far, but we believe that this is an approach that not only has a limited shelf-life, but which also misses the key opportunity here. As more and more ultra-premium spirits enter the market it will be increasingly difficult to stand out using these tactics. In many cases it is the celebrity who gains highbrow entrepreneurial status from these tie-ups, rather than the product gaining reflected red carpet dazzle. And packaging alone, without a compelling story, can easily become lost in a sea of indifference. If everything is special then nothing is. In the months ahead for a brand to add an ultra-premium range that will allow it to be noticed and chosen it will need to understand and communicate its story. The key opportunity here is to highlight what makes the brand unique and what gives it the right and the potential to succeed in the ultra-premium space: charisma shown at this spot-lit end of the market, shines across the entire range. Regardless of whether the product is premium, or ultra-premium, or even value, it is by engaging those senses through a compelling story that a product is ultimately selected by consumers. For spirit brands, just as for works like Guernica or Sunflowers it is the stories that are both within and beyond the entity that make them so special. Spirits brands can even look beyond the sector for further inspiration. From Louboutin’s red soles to the secret life of Coco Chanel, luxury and fashion brands have long understood the power of a story – there is much for our sector to learn from here. Ultra-premium is coming. It will be more than a few bottles on plinths in Harrods. It will be more than tours of travel retail. It will be an important shift in the spirits world, and one that will reward those brands that understand how to find the exceptional and to tell the stories that create allure that intrigues people and converts them from interested browsers to committed buyers.